This is the weekend when we audiences will be introduced to The Parting Glass for screenings at the Edinburgh International Film Festival (EIFF). 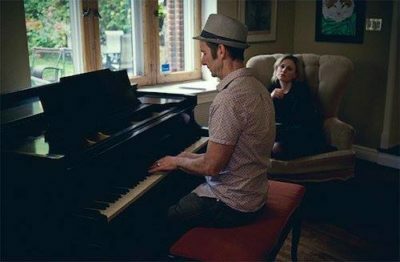 Anna Paquin and Stephen Moyer will present the film to the audiences and the cast and those responsible for the production of the film should also be in attendance. Personally, I can’t imagine that this film would be anything but great with those involved in it’s making. 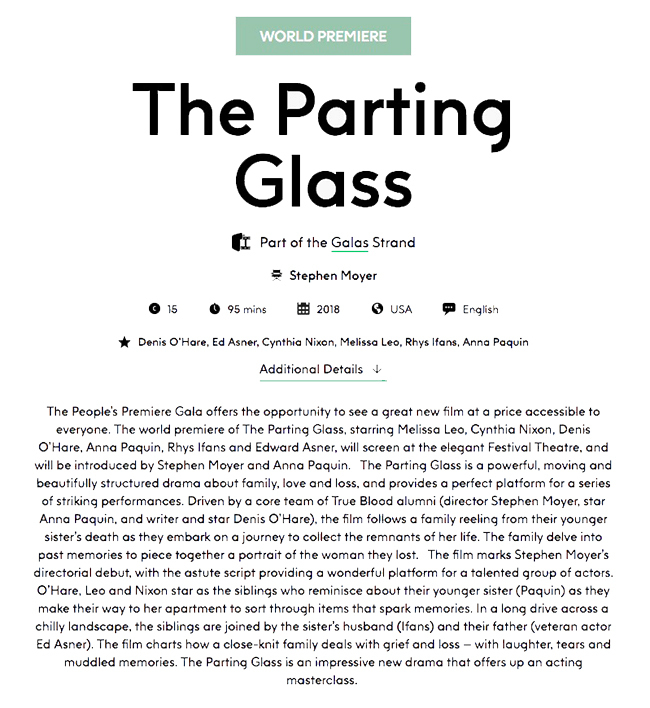 The People’s Premiere Gala at the EIFF offers the opportunity to see a great new film at a price accessible to everyone. 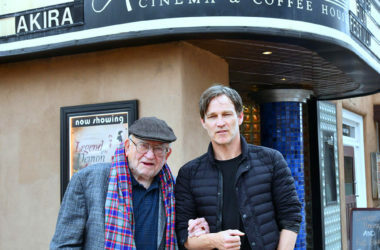 The world premiere of The Parting Glass, starring Melissa Leo, Cynthia Nixon, Denis O’Hare, Anna Paquin, Rhys Ifans and Edward Asner, will screen at the elegant Festival Theatre and will be introduced by Stephen Moyer and Anna Paquin. The Parting Glass is a powerful, moving and beautifully structured drama about family, love, and loss, and provides a perfect platform for a series of striking performances. 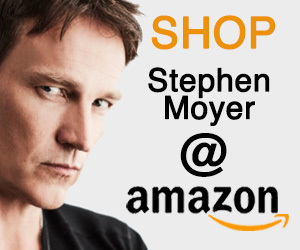 Driven by a core team of True Blood alumni (director Stephen Moyer, star Anna Paquin, and writer and star Denis O’Hare), the film follows a family reeling from their younger sister’s death as they embark on a journey to collect the remnants of her life. The family delves into past memories to piece together a portrait of the woman they lost. 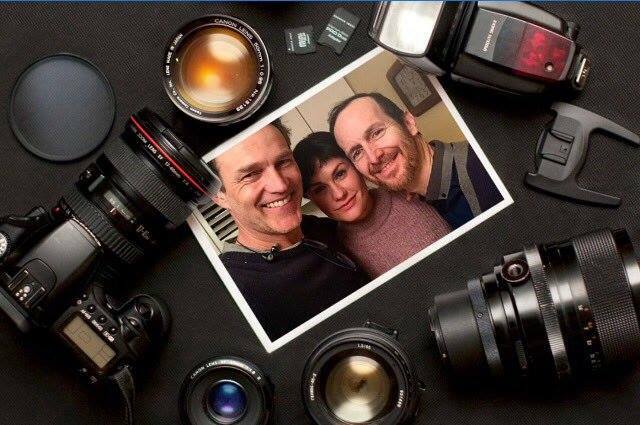 The film marks Stephen Moyer’s directorial debut, with the astute script providing a wonderful platform for a talented group of actors. O’Hare, Leo, and Nixon star as the siblings who reminisce about their younger sister (Paquin) as they make their way to her apartment to sort through items that spark memories. 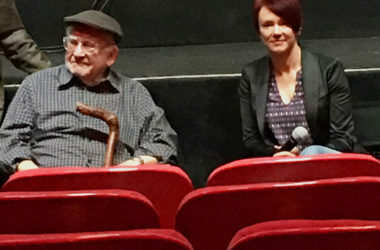 In a long drive across a chilly landscape, the siblings are joined by the sister’s husband (Ifans) and their father (veteran actor Ed Asner). The film charts how a close-knit family deals with grief and loss – with laughter, tears, and muddled memories. The Parting Glass is an impressive new drama that offers up an acting masterclass. Very happy and proud to share this. This is the movie I made in honor of my sister, Kathleen O’haredoster. 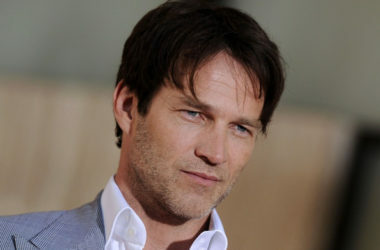 Our producers were Cerise Hallam Larkin, Anna Paquin, Stephen Moyer and Mark Larkin (CASM films). 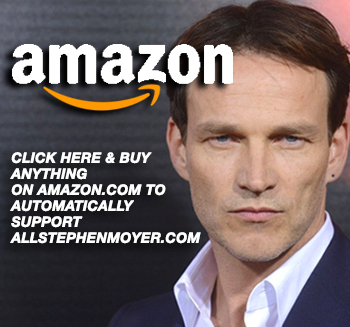 Stephen Moyer directed very, very beautifully and the original music is by Nathan Barr. 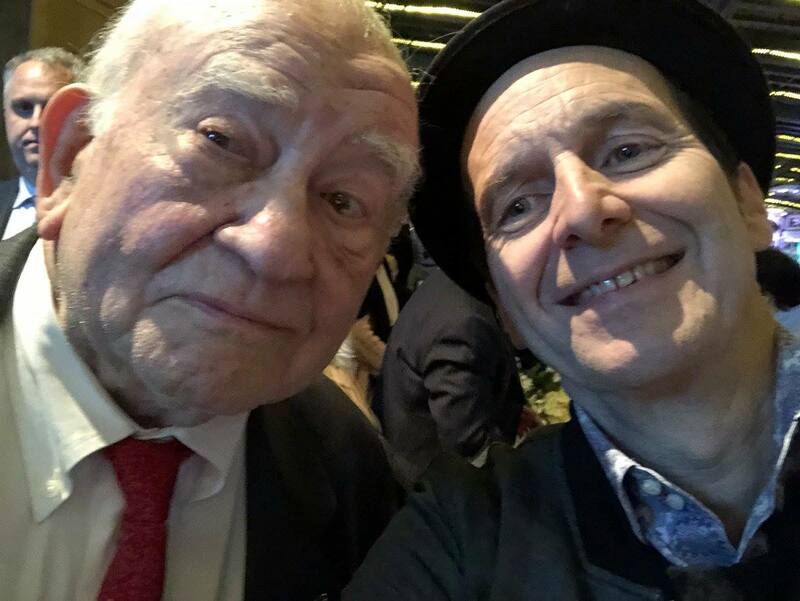 Our dream cast was: Cynthia Nixon, Melissa Leo, Ed Asner, Anna Paquin, Rhys Ifans and me (Denis O’Hare). We are premiering at the Edinburgh International Film Festival June 24th and 25th in case any of you are in that neighborhood. We then go to play the Karlovy Festival in Prague on July 1st. Making movies is really really hard and there were so many moments when I just assumed it wouldn’t happen. But so many people helped me along the way. James Sie and Douglas Wood actually gave me money – which was foolhardy but so kind. My Aunt and Uncle, John Kennedy and Nancy Kennedy also gave very generously and served as producers. My whole family supported the project – my sisters Pam Boerner, Patricia Cannon and my brother, Michael O’Hare. I couldn’t have done it without them. Stephen Doster generously gave us his consent as well and has been a gem. I hope the movie gets to play here in the U.S. We are hoping to get into festivals domestically and then come to a theatre near you. Please spread the news far and wide and when the time comes, I will certainly let you know. 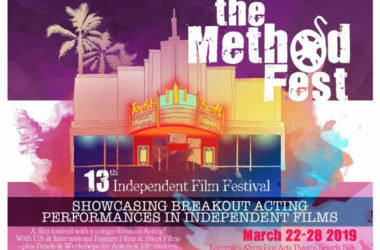 I got chills just reading this … a dream cast, Stephen directing, music by Nathan Barr … WOW! I look forward to the film’s appearance, and, hopefully, eventually at a theatre near me. If not that, then perhaps Netflix or I’ll be able to rent it. Thanks, Lynn, for all the additional information. 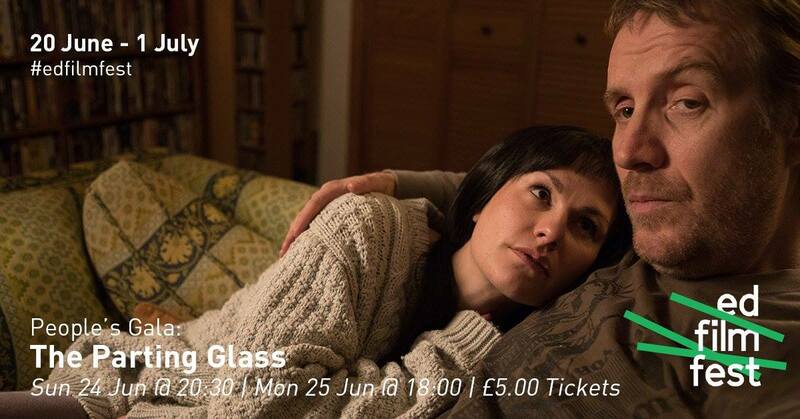 I am so happy to be going to the premiere of The Parting Glass on Sunday 24th June at the Festival Theatre in Edinburgh as well as seeing Stephen and Anna in Person prior to the films screening I am a huge fan of both there work. Sorry meant to also say the film has a stellar cast involved and taking part i have no doubt it will be well received…..